Philips Hue is a wireless lighting system that lets users easily control their Philips smart lights with a smartphone or tablet, and it's about to get a whole lot crazier. 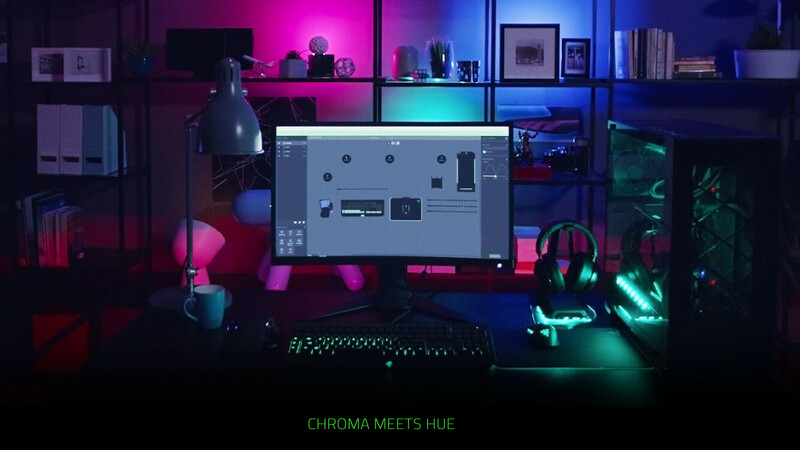 Philips has teamed up with gaming company Razer to integrate Razer's Chroma platform in Philips Hue, enabling smart RGB lights synchronization with games and movies. Colorful light pulsating through your Razer keyboard in time with the action on screen is one thing, but imagine every light in your room doing so as well. The two companies revealed the project on stage at CES with an Overwatch demo, showing off some really cool lighting effects without going overboard. Fortunately, integrating the Chroma + Hue feature is easy, thanks Razer's Chroma SDK, which allows developers to bring support to already existing games. Titles that already support for the system include Overwatch, Quake Champions, Factorio, Killing Floor 2, and others. And best of all, of course, is the ability to tweak and fine-tune everything to your liking straight from the app. You can choose to individually assign a custom color to each bulb in your room, or sync all lighting with a single touch, and go for full synchronization. But if you really want to get into the nitty-gritty of it, you can fire up Razer's Chroma Studio on your PC or laptop and go crazy customizing every lighting effect across all your connected Synapse-enabled devices. Philips is also giving the Hue app a complete makeover in version 2.0, re-introducing the color picker feature and improving overall speed and performance. Hopefully others will follow too (Asus Aura, NZXT cam, etc). One minor footnote, this stuff mentioned in the article only works on the second generation Hue hub (that square one). What's like to have a smartphone with RGB lightnings on its shell? RGB is all ! I can headshot all enemy team using RGB mouse+RGB keyboard+RGB motherboard+RGB CPU cooler+RGB ram+RGB tower !!!! !